If the roof on your home is becoming an issue, it's important to get expert assistance right away. Leaving a damaged roof can mean leaks which can cause severe damp problems and a need for replacing carpets & curtains as well as redecorating. At Rof Care, we can help with your roofing problems. We work thoroughly and deliver quality service every time. First of all, we'll visit you to have a look at the problem before making our recommendations and backing this up with a free of charge quotation that is guaranteed. We carry out our roofing service all around Chilwell and Attenborough, so whatever you require, call us today. For a personalised but professional service call us on 0115 815 7004. You are guaranteed a reliable and honest roofing contractor. Choosing us means you will always get superior service, and be safe in the knowledge that all our jobs get performed under strict health and safety standards. We'd be happy to pay you a visit and furnish you with a free, no obligation estimate on all roofing work. 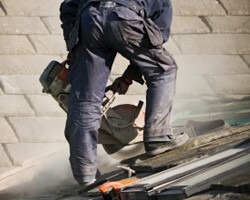 Pick up the phone now and speak to one of our professional roofers.